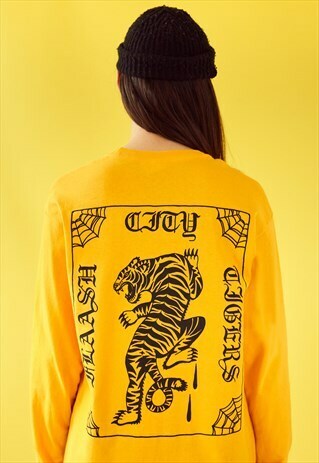 Flaash City Tigers tour edition. 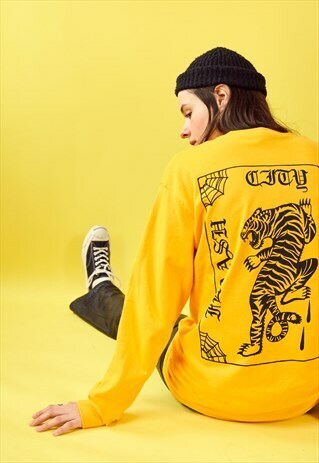 100% heavy duty cotton. Ellie is 5'7 and wears a medium.